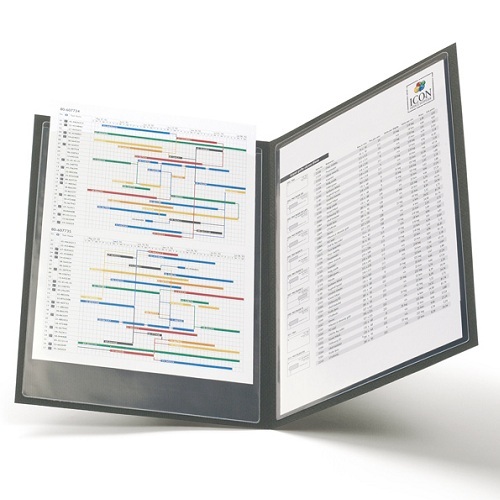 Full A4 format size pockets to attach any kind of documents to almost any flat surface. Pack of 10 Self Adhesive Pockets with Short-side Opening. 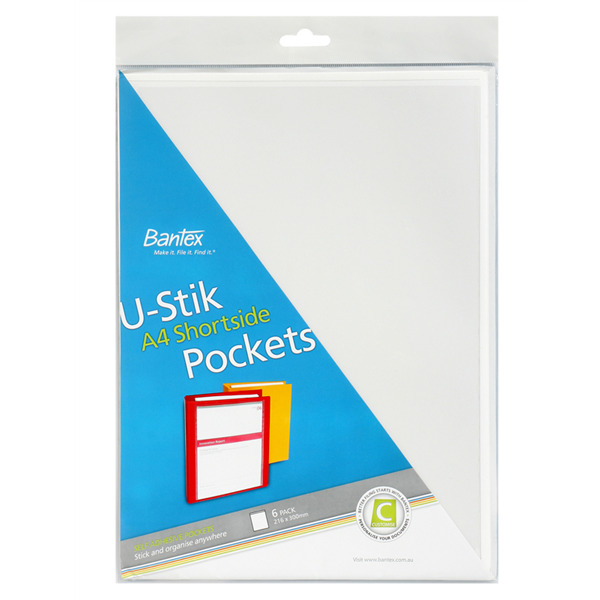 Self-adhesive A4 Shortside Pockets, Stick and organise anywhere. Suitable for storing and presenting A4, A5 and A6 documents. Additional storage for frequently referred to printed documents such as, timetables, procedures, brochures, etc.